Learn how organizations just like yours are transforming their construction programs in extraordinary ways. 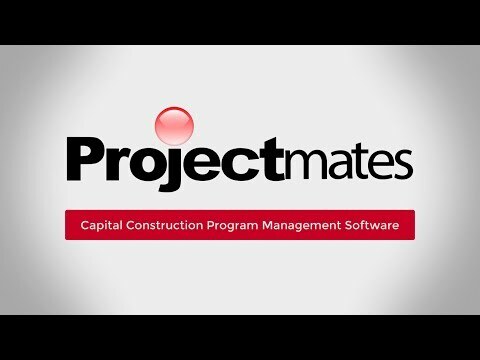 Find out what makes Projectmates the most effective and easy-to-use online construction program management software available. Projectmates Mobile provides a one-stop solution for all the challenges of construction management at your fingertips anytime, anywhere. Wanting to collaborate with contractors and consultants, this military organization needed a construction project management software to meet its high security and transparency standards. This chain of pet product stores wanted a construction management solution that could streamline their workflow and integrate with their accounting software. This independent sanitary district needed a construction management solution to cut down on paperwork, track job costs, and control project access to contractors. This healthcare organization completely transformed the way they do business and drastically cut change orders within months of implementing Projectmates. In a desire to 'go green' by digitizing their document exchange process, this group also increased staff productivity and cut old paper processes from weeks to mere days. In its desire to expand in the U.S. and abroad, this company needed a solution to manage multiple restaurant prototypes, job costs, and diverse project teams. To keep up with their planned volume of store rollouts, this retail owner needed to cut down on project delays and collaborate with dozens of national vendors and contractors. This C-store owner needed a management solution to ensure that franchised locations met the same standards of its corporate-owned locations. This real estate giant needed a software tool to promote uniform project delivery methods, brand consistency, and service excellence. With a high volume of planned future locations, this retailer needed to replace its homegrown solution with one that could oversee the entire project lifecycle and integrate with its accounting software. With resorts all across the world, this company chose online construction management software to trivialize the distance of project teams and track job costs. Vulnerable to fragmented project records, business inefficiencies, and late payment penalties, this university needed to simplify its construction management process. With as many as 1,000 projects going at any given time, this subcontractor was pressed to increase job margins and improve field-to-office communications. This expert retail construction group wanted a platform where clients could keep in touch with the ongoing progress of their commissioned projects. This "concept to keys" program delivery provider utilizes Projectmates to manage programs comprising hundreds of projects, while providing transparency to its clients. With an ambitious mega project in the early stages, this investment firm needed a platform to drive communication between multiple contractors and architects. In a quest to be more effective, productive, and profitable, this general contractor needed a solution with the perfect balance of functionality, ease of use, and integration capabilities. After choosing to rely less on third party construction management, this philanthropic boarding school needed a project management solution to empower their internal construction team.